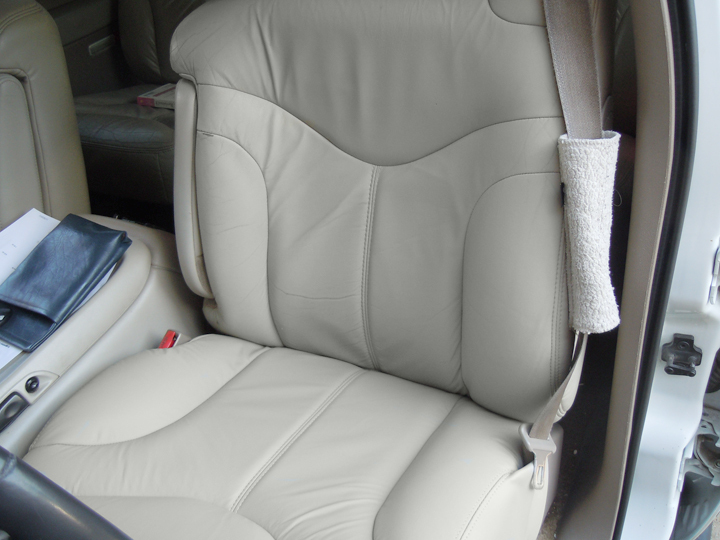 Here’s the deal…Today, The Seat Shop installed a new driver and passenger side replacement leather seat cover bottoms on a 2002 GMC Yukon XL. This interior was the Shale Leather with Neutral Trim. 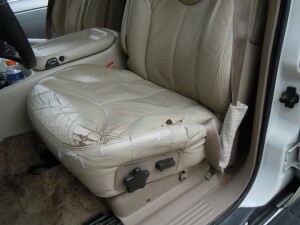 The bottom seat covers in this Yukon XL were the only leather covers that were severely worn. The Seat Shop provides replacement leather seat covers that match the original interior, enabling you to replace only the worn out leather pieces. The seat top cover in these pictures are 100% original OEM, just cleaned using The Seat Shop’s cleaning method. 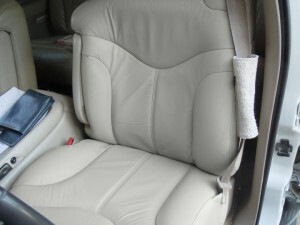 To check out how we clean the original leather seat covers, check out The Seat Shop’s homepage at www.theseatshop.com. Here are the before and after pictures of today’s install. Keep in mind, The Seat Shop specializes in Replacement Leather Seat covers for Ford, Chevrolet, GMC, Cadillac, and Lincoln full size trucks and SUV’s. If you have any questions about leather seat covers for your vehicle, please feel free to give us a call at 214-710-2565, or check out our new vehicle selector at www.theseatshop.com.